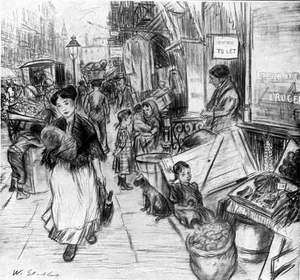 Here are more Glackens illustrations. They are all from Scribner's Monthly Magazine. Click on the images to enlarge them. 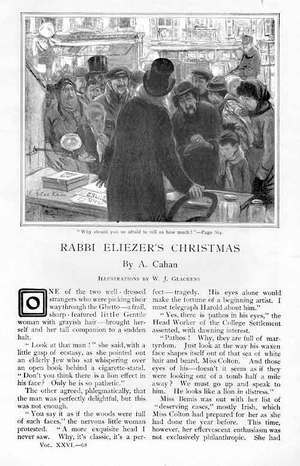 "Rabbi Eliezer's Christmas," by Abraham Cahan, ran in the December 1899 issue. The caption reads, "Why should you be afraid to tell us how much?" 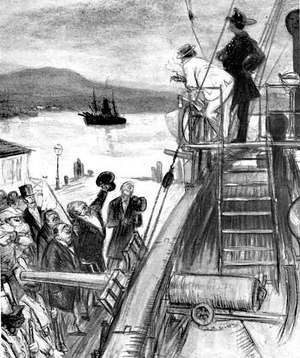 An immigrant from Lithuania, Cahan founded the Forward, a Yiddish language newspaper. He was also a well-respected novelist. 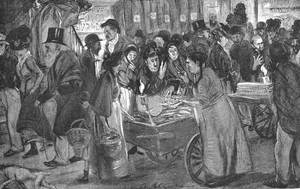 From the same story, "Fish, fish, living fish—buy fish, dear little housewives!" 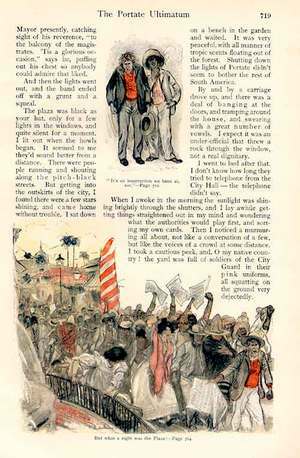 This beautiful page appeared in the same issue of the magazine, illustrating a story by Arthur Colton, best known as a poet. These drawings were made after Glackens made a trip to Cuba in 1898 with his friend and fellow Ashcan School painter, George Luks. 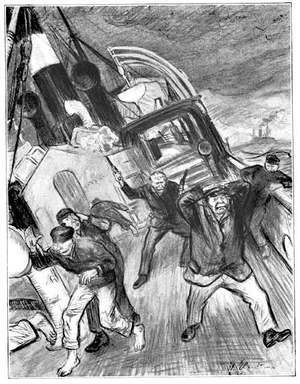 These illustrations were on facing pages of a story by Sewell Ford, "Pluribus Jones and how he came into his own," from the June 1906 issue. From "The Old Lamp," by the Venezuelan writer Catalina Paez, in the May 1909 issue. 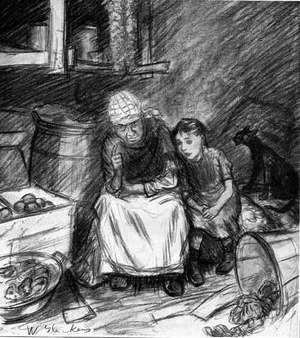 "Carmelina enthroned upon the stairs of her own vegetable cellar." From the same story, "The joy of huddling bside Nonna on a potato sack." Glackens knew his subjects well. The work appears to have been done in charcoal and a watercolor wash.